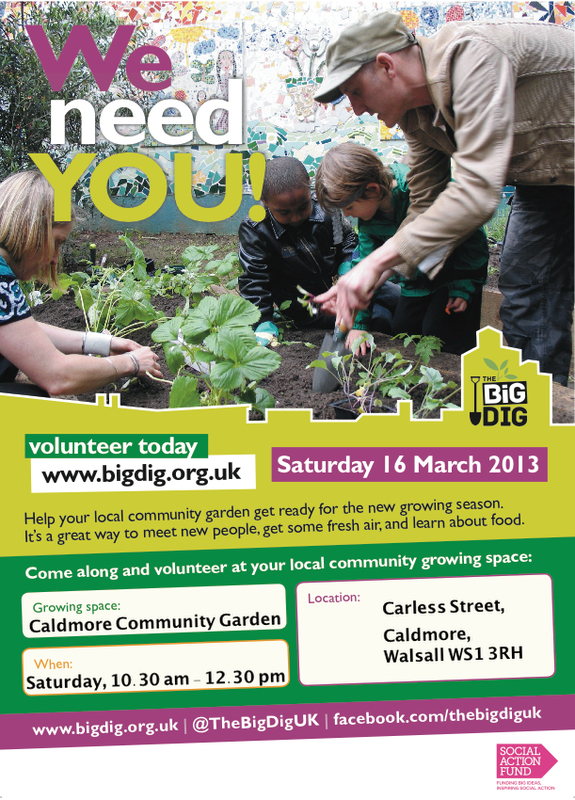 Caldmore Community Garden has joined The Big Dig – a nation-wide initiative for growing food locally. This Saturday, March 16th, is the Big Dig Day when all the gardens officially begin the season and open their gates to the community, men and women, parents and children, big and small. Come and join us between 10.30 am and 12.30 pm! The first vegetables are planted! Over 30 volunteers came to support the latest Dig It day on Saturday the 26th of May in the Caldmore Community Garden. Greeted by sunshine and wall to wall blue skies the enthusiastic diggers celebrated their efforts by finishing the preparation on one of the raised beds and planting the very first young plants of the new garden. If you want to come and look over the garden and to find out more, the garden will be open to all too wander around on Monday June 4th during the festival. We hope to see you then!